Originally a progressive rock group, Europe didn’t achieve success until they reworked their sound into bombastic yet melodic pop-metal. In their first incarnation, the Swedish band was called Force. 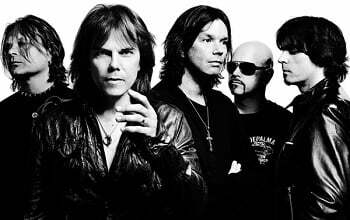 The band — featuring core members Joey Tempest (vocals), John Norum (guitar), Tony Reno (drums), and John Leven (bass) — won a national talent contest in the early ’80s, which led to a record contract. After changing their name to Europe and releasing two albums in Sweden (Europe and Wings of Tomorrow), the band landed an international deal with Epic Records. By this time, Reno had left the group and been replaced by Ian Haugland. Keyboardist Mic Michaeli had also joined the lineup.